2013 is going to be an impressive year for original science-fiction entertainment and District 9 writer-director Neil Blomkamp's Elysium ranks high on the list of upcoming anticipated futuristic blockbusters. Blomkamp's sophomore feature-length helming effort takes place in 2159, where society is split between the Terrans (who dwell on a devastated, post-apocalyptic Earth) and Elysians, who reside in the space station Elysium orbiting the planet. Matt Damon stars as ex-convict Max, a dying Terran who undertakes a dangerous mission to save his life (and maybe unite the separate classes); meanwhile, Jodie Foster plays Secretary Rhodes, a shrewd government crony intent on upholding the current social order. 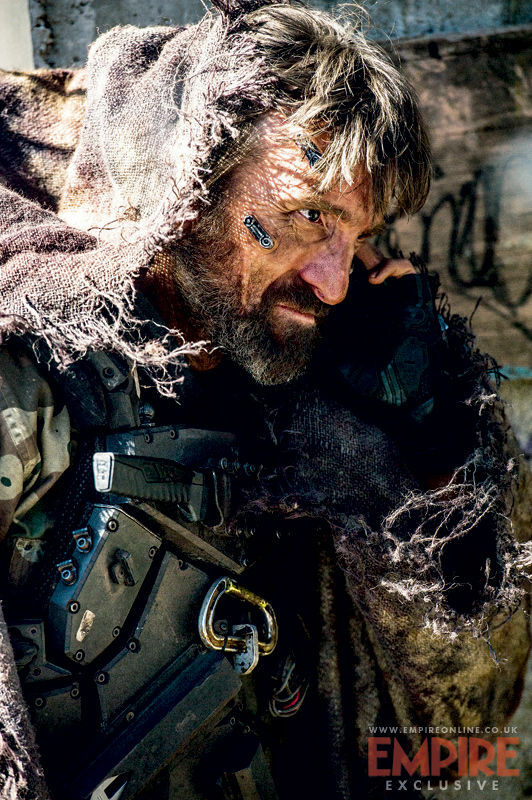 District 9 star Sharlto Copley appears in Elysium as (nasty) Kruger, who Empire describes as Rhodes' "relentless attack dog." The former previously (inadvertently) likened his performance in Blomkamp's new film to Heath Ledger's Joker from The Dark Knight, but has since clarified the true inspiration for his villainous alter ego. "The Joker was a mistaken reference. I was really just saying that that was the last time I saw a villain that inspired me: somebody that set the bar. There’s no connection or likeness to The Joker in terms of the character. What I did with him — which I try to do with all my original characters — was draw from real life. I combined references from a very infamous South African military battalion called 32 Battalion, that fought in the Border Wars in South Africa, and a stereotype of character that you get in the south of Johannesburg, where the guys are a little bit more comfortable with violence!" Rounding out the Elysium cast are such people as William Fitchtner (The Lone Ranger), Alice Braga (On the Road), Michael Shanks (Saving Hope), Diego Luna (Casa de mi Padre), Wagner Moura (Elite Squad: The Enemy Within) and Faran Tahir (Dallas). The script, story and characters were conceived by Blomkmap; you can read more about them in our Comic-Con report, which includes additional commentary from Copley and his fellow cast members. Elysium opens in U.S. theaters on August 9th, 2013. Will you be checking it out?